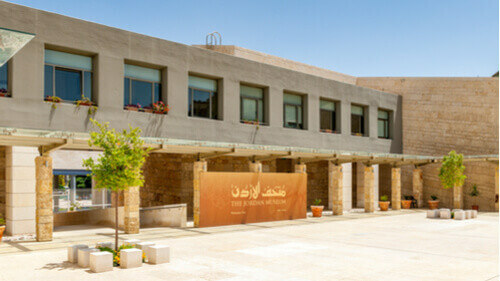 The Jordan Museum is a great place to bone up on Jordanian culture and history, and get a look at Jordan’s Dead Sea Scrolls. 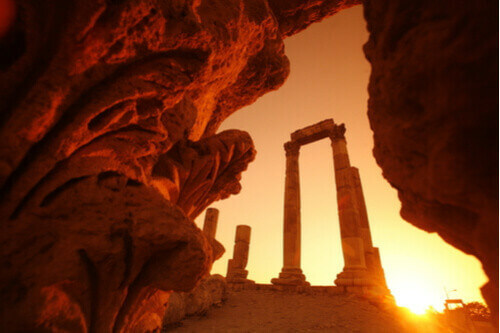 While the Hashemite Kingdom of Jordan as we know it is relatively young, Jordan has played a part in numerous ancient civilisations, with archaeological artifacts and fossils dating back 1.5 million years; Jordan itself has been continuously inhabited by humans since the Paleolithic period. The museum also houses the treasured ‘Ain Ghazal statues, which are considered to be some the oldest human statues in existence. Mansaf is a must – this meal of rice, lamb, and yoghurt is Jordan’s most famous national dish and should be eaten with one’s right hand. If you’re looking for inexpensive, delicious local eats, head over to bustling King Faisal Street, home to one of Amman’s most popular restaurants, Hashem. Mezze – Middle Eastern small plates – are everywhere, as well as knafeh (a layered pastry and goat cheese dessert), freshly-made manakeesh (flatbread), and of course, shawarma. Jordan is also known for its fresh juice, particularly sugar cane juice, which really takes the edge off the heat. Jordan also has an American-style speakeasy, OTR (Off the Record), and a popular western-style dive bar Petro; keep in mind that alcohol can be quite expensive in Jordan (which also has its own craft beer, Carakale). 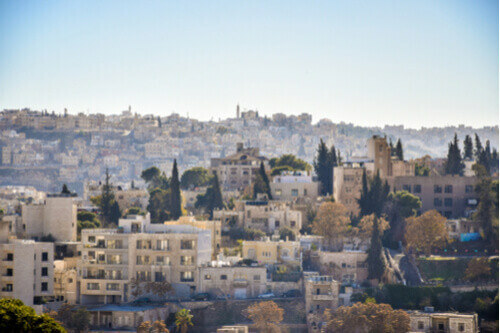 Amman was once known as the ancient Greco-Roman city of Philadelphia, and has a fascinating ancient history that can be visited right in the heart of the city. Its iconic hilltop Citadel, dating back to the Bronze Age, has a wonderful view of the surrounding country. Visitors can wander through complex ruins like the Temple of Hercules (with a tiny stone carving of Medusa), the Ummayad Palace, and the diminutive 6th century Byzantine Basilica. We recommend grabbing a taxi or car-share to get to the top and walking back down towards the Amphitheater and downtown Amman. 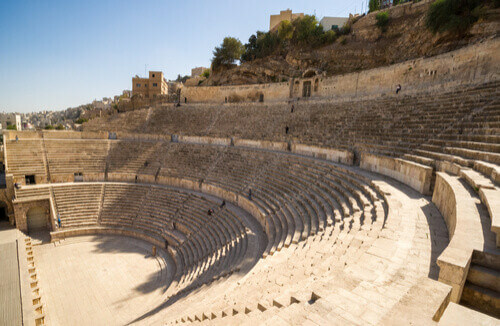 Located a little ways down from the Citadel is the well-preserved 2nd century Roman Amphitheatre, a must-visit site in Amman. Built into the side of a hill, many architectural details remain within this 6,000-seat structure, such as the drain to remove blood from gladiatorial fights, and the separate entrances for different social classes. This trendy part of town is named after one of the many theaters in the Jebel Amman district, and is full of cute modern cafes, souks, rooftop restaurants, bustling bars, and street art (check out the seasonal “umbrella stairs”). A few of the most well-known Rainbow Street spots are Books@Cafe, and the Wild Jordan Center, which does a lot of conservation awareness work for Jordan’s eight nature reserves. 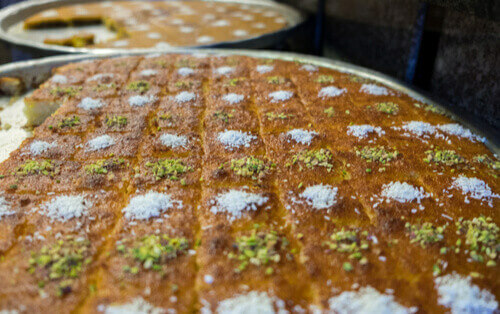 It’s also home to Sufra, a traditional Jordanian restaurant favoured by local celebrities that’s considered the best in Amman. In the summer, Rainbow Street hosts a bustling open-air flea market, Souk Jara. Some locals prefer Paris Square, so check out both and see which tickles your fancy.